Do you set aside a time each day that you spend with the Lord? I have been a Christian for over 25 years and did not realize the importance of prayer until 10 years ago. In high school I had a friend who used to get up early and pray for at least an hour. I used to wonder how a person could pray for an hour. I could pray for 5 minutes and felt that was a great feat. 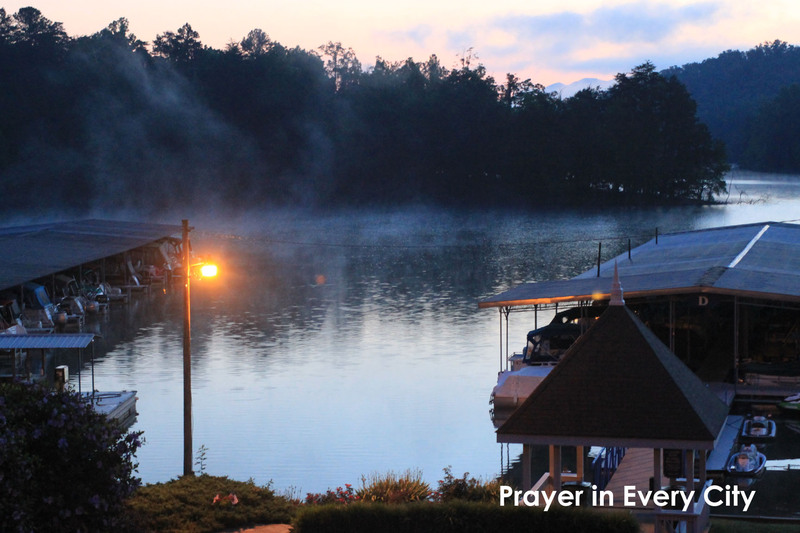 What should a person pray to the Lord about, especially for one hour? I decided much later in life that I was going to give it a try. My children were small at the time so I knew I was going to have to wake up before they did in order to have my “quiet time”. The first morning I set my alarm for 5:00 A.M. because they could wake up by 6:00. I am not a morning person so this was early for me. At 5:00 A.M. I was awakened by the alarm and couldn’t get out of bed so I hit the snooze. When the snooze went off I shut off the alarm. This decided this was my practice run so I went back to bed to try again the next morning. Perhaps I needed to get in a “habit”. The next morning the alarm went off at 5:00 A.M. again. I was so tired that I hit the snooze and asked the Lord to forgive me for being so lazy. How was I ever going to arise early and pray for one hour? I decided to try it one more time the next morning. At 5:00 A.M. the alarm went off again and I reached for the snooze. Suddenly, I heard the Lord speak to me (in my mind of course). This had only happened one other time in my life so this was very shocking to me. He said, “Can you not pray with me one hour”? I was quickly reminded of when Jesus was in the Garden of Gethsemane asking the disciples to pray. He told the disciples, “My soul is deeply grieved to the point of death; remain here and keep watch” Mark 14:34 (NASB). He then prayed for a while. Then “He came and found them sleeping…Jesus said, ’Could you not keep watch for one hour? Keep watching and praying that you may not come into temptation; the spirit is willing, but the flesh is weak’” Mark 14:37-38 (NASB). He went off to pray again, then “He came and found them sleeping, for their eyes were very heavy; and they did not know what to answer Him. And He came the third time, and said to them, “Are you still sleeping and resting? It is enough; the hour has come” Mark 14:40-41 (NASB). Jesus was about to be crucified and all the disciples could do was sleep. I was not used to the Lord “speaking to me” and I am sure that many Christians believe that the Lord doesn’t speak today. I will tell you that He does speak, but He has a still, small voice and we have to tune our ears to Him in order to be able to listen. At the moment that I heard this from the Lord, I was so convicted of my laziness that I got up out of bed to pray. I never had a problem getting out of bed to pray again and I am so glad that I did. My prayer time developed so much that I understand what R.A. Torrey meant when he wrote, “But from that time on, prayer has been not merely a duty but a privilege, one of the most highly esteemed privileges of life. Before that the thought I had was, ‘How much time must I spend in prayer?’ the thought that now possesses me is, ‘How much time may I spend in prayer without neglecting the other privileges and duties of life?’” (pp. 78-79). If prayer is a duty to you, then you are missing out on what prayer is about. Prayer means having an audience with God. You are actually coming into the presence of the creator of the universe. As believers in Christ, God has granted us access into the very throne room of heaven. He also promises us to answer our prayers. The answer may be “wait”, but if we meet the conditions of answered prayer, we know he hears us. I hope you will establish a morning prayer time with the Lord. Why morning? Because we need daily instructions from the Lord so we know what He wants us to do for the day. Once you establish this quiet time, you will never want to return to your old way of life. Begin your quiet time with this song: Give Me Jesus by Jeremy Camp on YouTube. Torrey, R.A. The Power of Prayer. Whitaker House, 2000. So last night I prayed and asked God to stir my spirit enough to get me out of bed. I set my alarm just 10 min earlier. It went off and I hit snooze, and then I remembered the scripture ‘the spirit is willing but the flesh is weak.’ I got up because I realized I was giving Satan a hold over me in that area. So thank you for making me realize, it isn’t just me struggling with getting up in the mornings! If you are willing, then the Holy Spirit will give you the ability to wake up. After a few days, you will be waking up before your alarm.